How long can you stay in the U.S. on an H-1B visa? The H-1B visa is granted for a period of three (3) years but it can be renewed once. The maximum period for an H-1B visa is six (6) years. 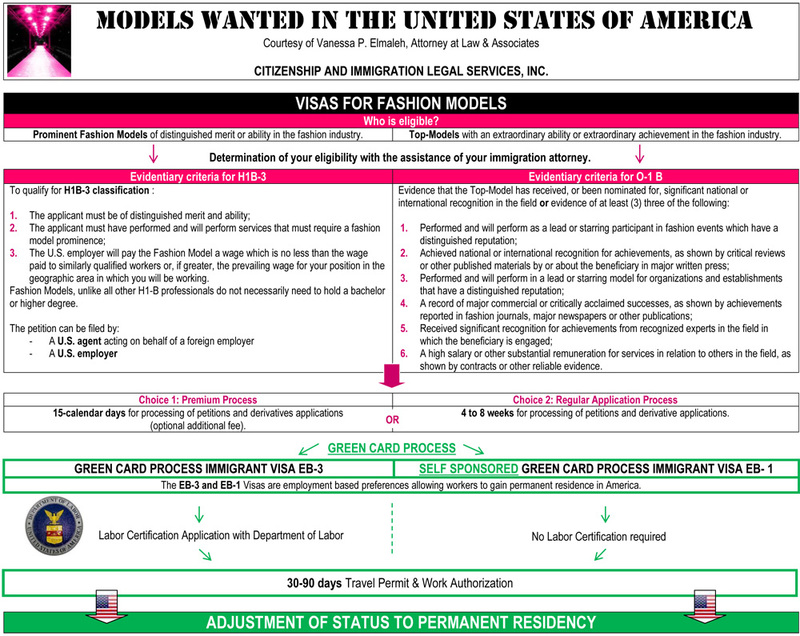 This period can be extended if a green card application is pending. Holders of H-1B1 visa may apply for a green card and adjust their status to become a permanent resident. They may also transfer their visa to another employer (Portability Law). The H-1B1 visa is reserved to aliens who come to the U.S. to work in a “specialty occupation” for a temporary period. A specialty occupation, in 8 CFR section 214 (h) (4) (ii), is defined as “an occupation which requires theoretical and practical application of a body of highly specialized knowledge in fields of human endeavor including, but not limited to, architecture, engineering, mathematics, physical sciences, social sciences, medicine and health, education, business specialties, accounting, law, theology, and the arts, and which requires the attainment of a Bachelor’s degree or higher in a specific specialty, or its equivalent, as a minimum for entry into the occupation in the United States”. The H-1B1 visa is often used as the "next step" after one graduated from a university or after completion of an F-1 (student visa) or J-1 (exchange visitor program) program. What requirements are needed to apply for an H-1B1 visa? 1. The petitioner seeking an H-1B1 shall establish that the job requires the services of a professional, that the foreign worker qualifies as such a professional, and that a labor condition application has been certified by the Department of Labor. 2. Generally, the H-1B1 visa is available for those workers who have at least a Bachelor's degree in a technical field and who will be working in a technical position that requires an undergraduate degree. However, individuals who do not have an undergraduate degree may use their experience to compensate for any years unfinished in their undergraduate education. 3. To protect the salaries of foreign nationals, employers are required to pay the higher of either the actual or prevailing wage. The actual wage is the wage paid to other co-workers in similar positions; the prevailing wage is the average salary paid to workers in the area of intended employment. We can do a prevailing wage search for you to help you determine if your salary offer is according to the H-1B1 requirements. USCIS (U.S. Citizenship and Immigration Services) can process the application in fifteen (15) days with the premium processing program by paying an additional thousand dollar (1,000). Otherwise, USCIS normally takes about three (3) – four (4) months to process, review, and adjudicate an H-1B1 petition. How many H-1B1 visas are granted annually by USCIS? Solely sixty-five thousand (65,000) H-1B1 visas are granted annually in the U.S.
An additional twenty thousand (20,000) visas are granted to those applicants holding a Master's degree from a U.S. accredited institutions. What is an H-1B2 visa? The H-1B2 visa is reserved to aliens who come temporarily to the U.S. to perform exceptional services related to a cooperative and development project governed by the Department of Defense. What is an H-1B3 visa? 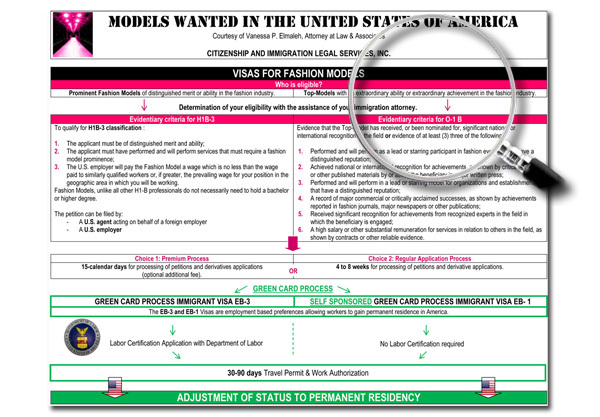 The H-1B3 visa is reserved to aliens who come temporarily to the U.S. as fashion models. The applicants shall be nationally and internationally recognized for their achievements, merit and abilities. 1. Be licensed where he or she was educated orhave received nursing education in the United States. 2. Pass an approved examination orhold full and unrestricted (U.S.) state license. 3. Be eligible and qualified to engage in professional nursing immediately upon entering the United States. What is an H-2A visa? The H-2A visa is reserved to aliens who come to the U.S. to perform agricultural labor or services of a “temporary or seasonal nature”. By “temporary or seasonal nature”, we mean employment performed at some seasons of the year, i.e. during the production and/or harvesting of a crop, for one (1) year or less. How long can you stay in the U.S. on an H-2A visa? The H-2A visa is granted for a period of one (1) year but it can be renewed twice. The total period of an H-2A Visa is three (3) years. How long can you stay in the U.S. on an H-2B visa? The H-2B visa is granted for a period of one (1) year but it can be renewed twice. The total period of an H-2B visa is three (3) years. What is an H-3 visa? The H-3 visa is reserved to aliens who come to the U.S. to participate in a training program. How long can you stay in the U.S. on H-3 visa? The maximum granted is twenty four (24) months. However, if the beneficiary stays for two (2) years he or she must go back to his/her home country for one (1) year. Spouses and children of H visa holders who wish to accompany the principal visa holder are eligible for H-4 dependent visas.